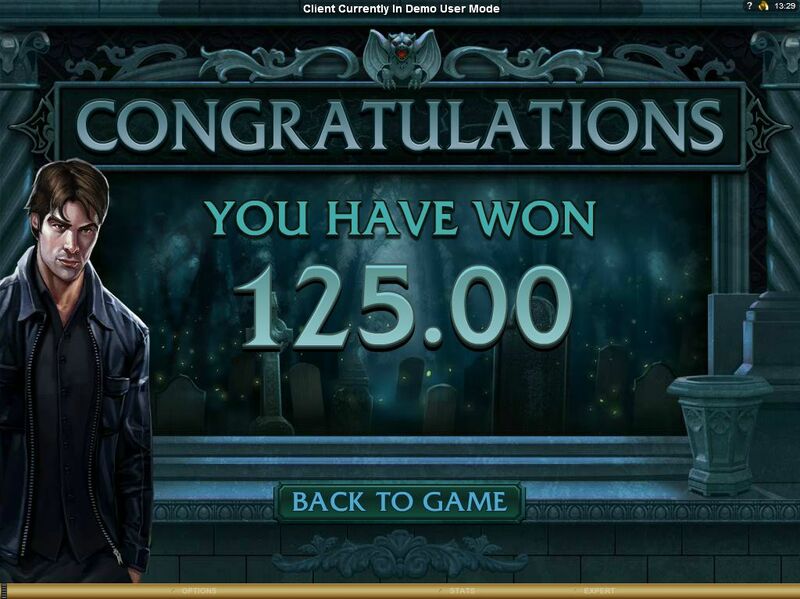 Where to Play Immortal Romance for Real Money? Usually, when reviewing online slots, we ask questions such as “are the betting limits high or low” or “how much fun do the play features add?”. In the case of Microgaming’s Immortal Romance, we only have one question. Why must one of the most reputable developers of online slots latch on to the most contrived and unoriginal drab pop culture trend? Well, the obvious answer is money, but still. Microgaming isn’t exactly in an unstable position - they have plenty of solid and unique slots, such as Multiplayer Avalon to provide the company with revenue. Why did they have to sell out and create this abomination? *Sigh* You can probably guess our thoughts on this game from that intro already, but let’s go through the motions, shall we? 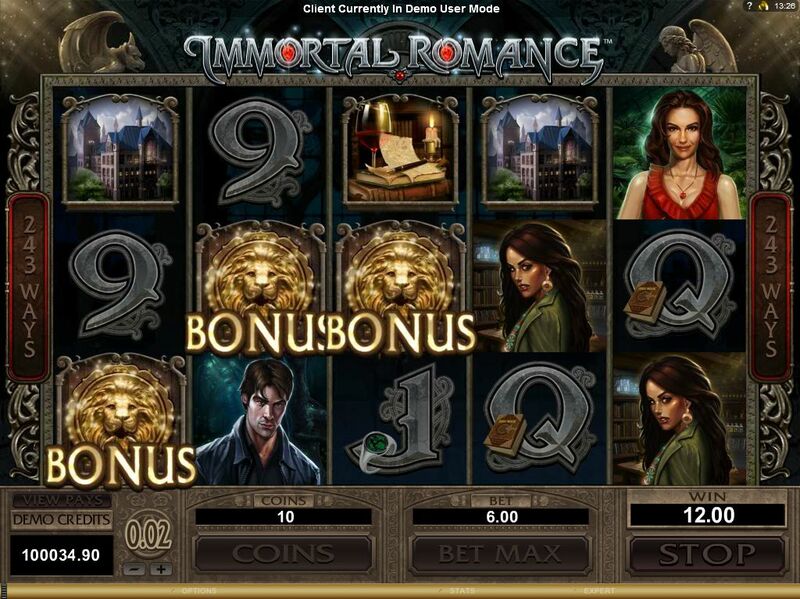 How to Play Immortal Romance Casino Game? 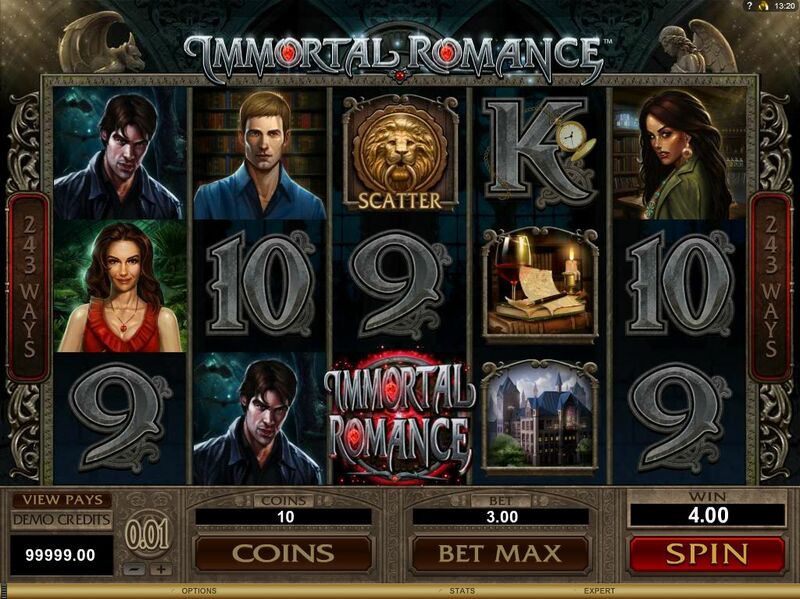 Immortal Romance is a 5 reel and whopping 243 payline classic slot, featuring mechanics identical to that of Thunderstruck II - hence one our major gripe with this slot. What we’re looking at here is a rushed re-skin of an otherwise fun and functional slot, quickly thrown together just to cash in on the latest craze. Betting ranges from 0.01 up to 30 which is incredibly low - and with reason. Seeing as Immortal Romance has the sickening theme of a contrived romantic relationship between a human girl and a vampire, the only people who would willingly play this thing are teenage girls with no disposable income. 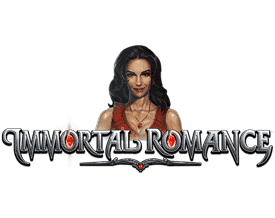 Immortal Romance features a few special mechanics, such as wilds and scatters, but as mentioned previously, these have been lifted right from Thunderstruck II. 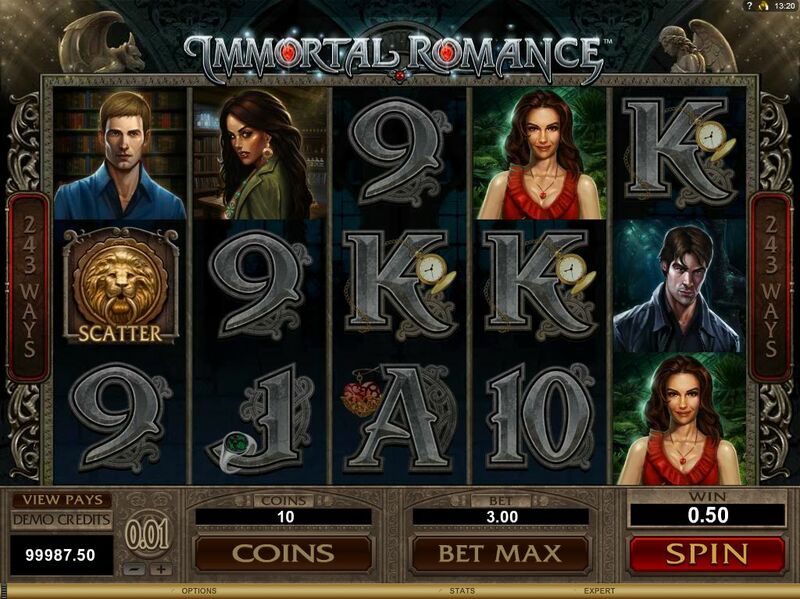 The play features of Immortal Romance have equally tacky names as the slot itself. 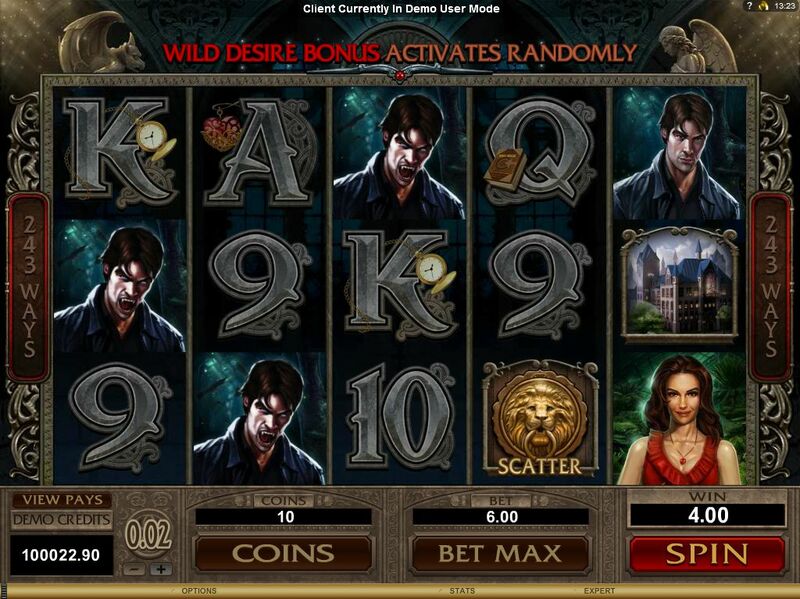 The wilds in this slot will trigger an event called “Wild Desire”, which will give you a free re-spin of whichever reel the wild symbol appeared on. The scatter symbols in the game are the golden lion heads, of which three or more take players to the “chamber of spins”. 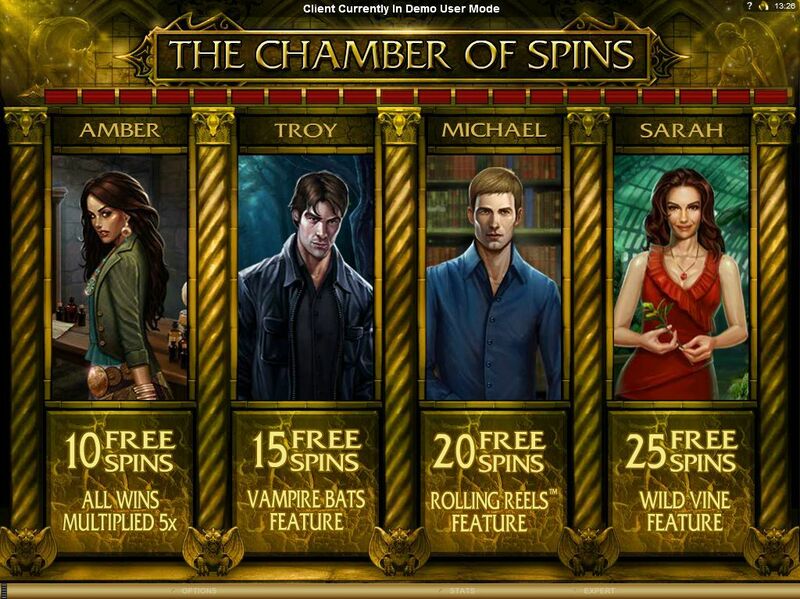 Here a shoe-horned “story” aspect is shown, when you progressively unlock 4 characters (2 vampires, a witch and a human), each with a different amount of free-spins and other multipliers associated with them. If nothing else can be said about the visuals, they… detailed at least? It’s clear that Microgaming spent quite a bit on the art direction for this thing. Depends. Are you female, under 20 and typically a slave to trends? If yes, congratulations! You’ll be squealing with glee. If no, then the most thrill this slot with give you is the moment you finally decide to close the thing and forget it exists. From a technical standpoint, the few play features and low betting range make this slot pretty drab. 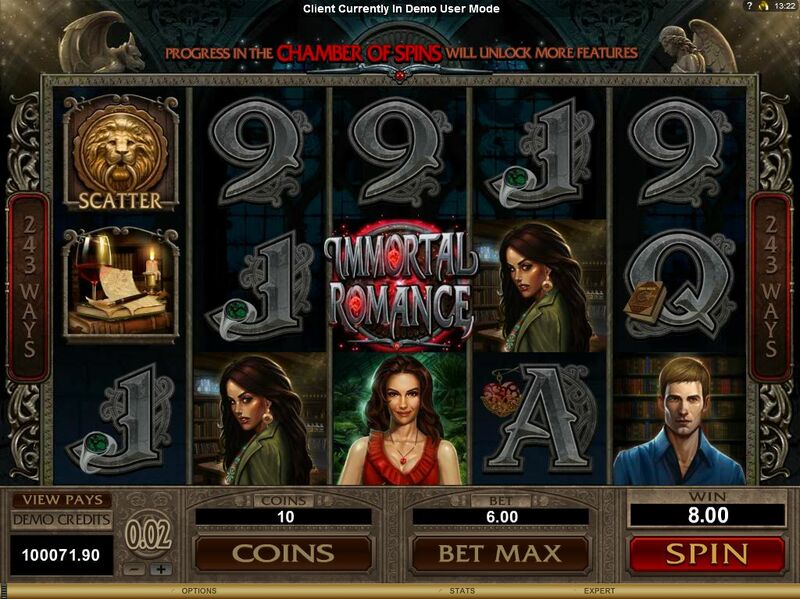 While we *must* give this slot some credit for being functionally passable, no self-respecting gambler would tolerate the trashy theme of this slot - especially when they can play the exact same thing gameplay-wise without the whole vampire filth in the form of Thunderstruck II. All Immortal Romance can purport to be is a poor re-skin for making a quick buck on current trends. If Dracula would see this, he’s climb back into his coffin and stay there forever.